One of these days, spring will finally take its coat off and stay a while. 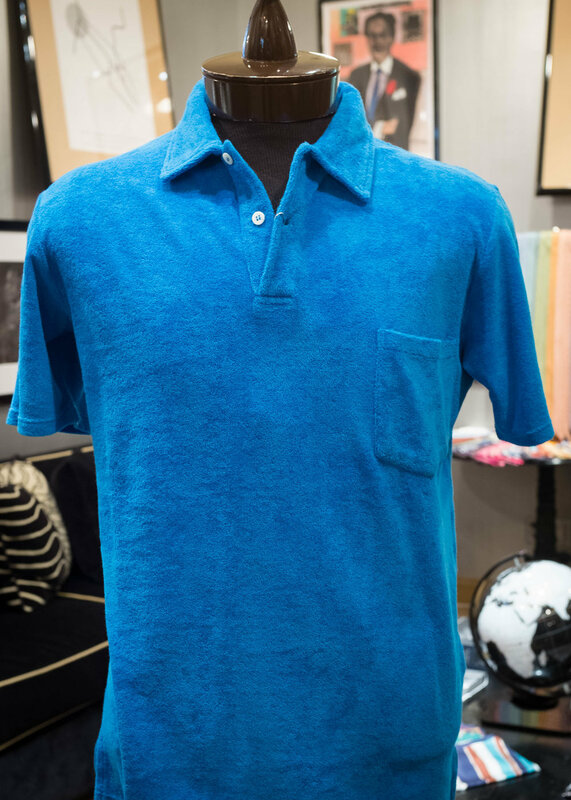 Make sure you’re ready for it with our new 2018 collection of ready-to-wear knit shirts. 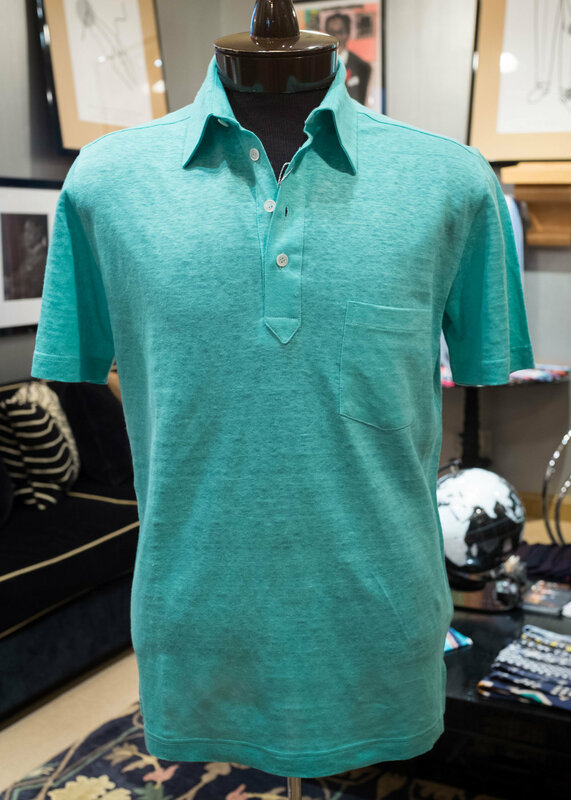 Drawing on a long tradition of casual continental elegance from the south of France to the Amalfi coast, these impeccably finished polos are the best you’ll find on these shores. Crafted with the latest Italian technology, they feature details like cut-and-sewn collars, mother-of-pearl buttons, deep plackets, a functionally sized and placed pocket (surprisingly rare! ), and square coat-front tails for an elegant line whether tucked or untucked. They’re perfect under one of our crisp wool/silk seersucker sport jackets, over a tee, or on their own. 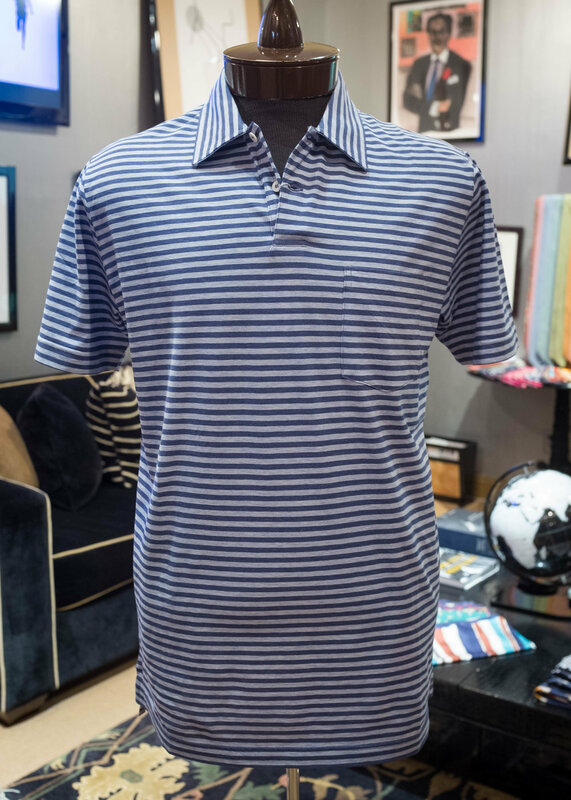 Beside the pool, at the beach, or on the links, they’re are as close as a garment can get to a tall glass of water. 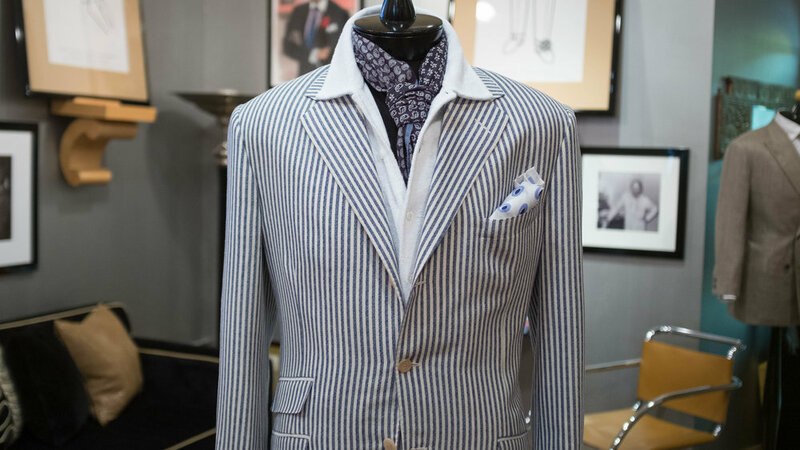 This year’s offerings include exquisitely fine terrycloth in white or saturated Riviera blue, airy knit linen in medium blue and fresh mint green, dry cotton pique in long-sleeved faded indigo or tennis yellow, and a gossamer-weight cotton jersey in narrow navy and grey stripes. Scroll on down to see the collection. Mint green knitted linen with an extended front placket. 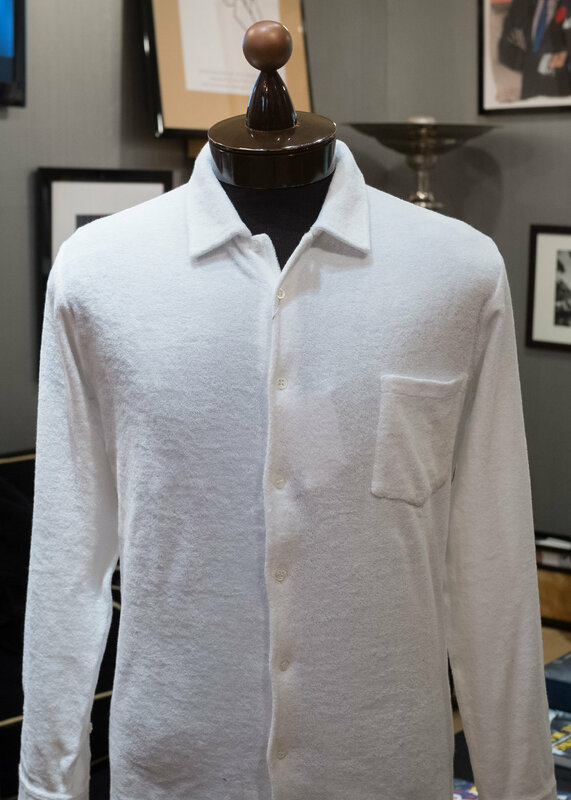 Paired with beach trunks or styled under a lightweight summer sportcoat, the white terry-cloth cardigan front takes you straight from the waterfront to dinner in town. 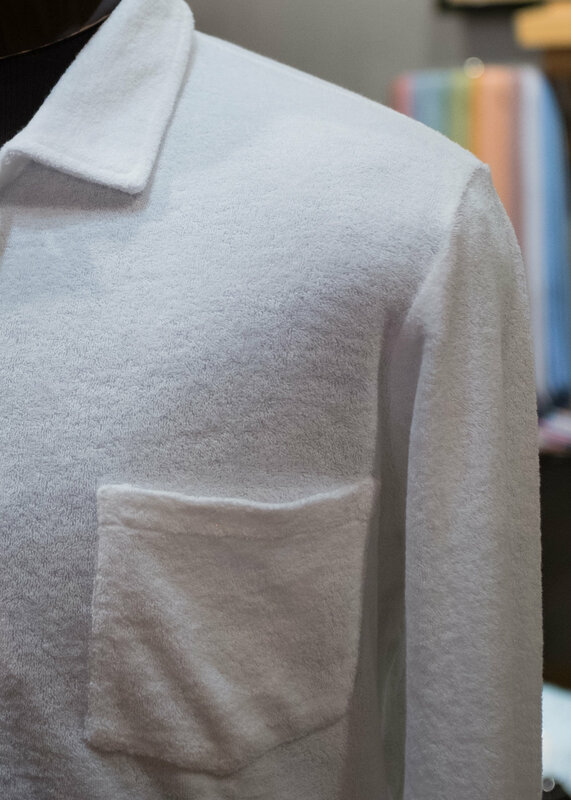 Up close with our exquisitely fine terry cloth.